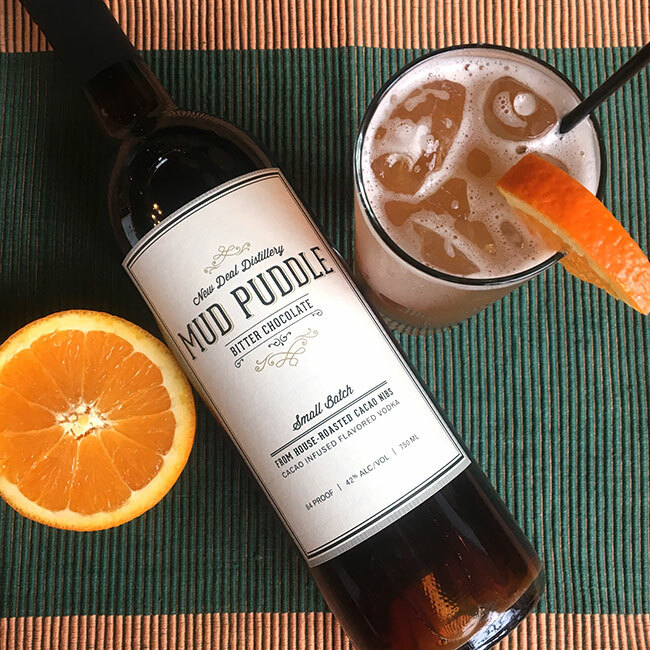 Add Mud Puddle, orange liqueur, and orange juice to a cocktail shaker. Fill with ice and shake until cold. Strain into a collins glass, add fresh ice, and top with soda. Garnish with an orange wheel.